A child's growing capacity to develop close personal relationships with others, especially parents and caretakers. Healthy expression and management of feelings and emotions. Exploration and discovery of new environments. Developing a positive attitude towards learning. The child's Personal, Social and Emotional development relies on influential adults such as parents, relatives and/or caretakers to model appropriate behaviors and to provide positive feedback. Below is a list of development activities you can implement to help a child's progress. An exercise to encourage character growth and development of positive values, attitudes, and perspectives such as caring, sharing, kindness, and honesty. An excellent example of this is reading children's stories with a positive moral value which they can engage in and learn from. Creating a daily routine helps promote self-control as well as develop expectations for both the child and the parent. In addition, through incorporating learning opportunities into everyday routines, children enthusiastically apply emerging skills and develop comprehension. Utilizing exercises or fun tasks helps children engage in learning with a willful and voluntary attitude. For instance, a "treasure hunt" activity delivers curiosity, discovery and reward. You can simply build flashcards that contain pictures of clues to find the treasure with each clue pointing to the next until they discover the treasure. In this way, a child engages a sense of purpose and fulfillment while learning shapes, colors, words, and images in their pursuit. Schedule "play time" with other parents and their children. Get involved in community resources and opportunities such as sports clubs, scouting, dance and theater. Get connected with homeschooling support groups. Homeschool.com has a complete list of local homeschooling support groups. Sign up for a summer camp. Volunteering is a great way to socialize. Teach your child to use words to express themselves. Using words promotes healthy communication and helps in conflict resolution and problem solving. Children learn by example, hence, when you are faced with challenges, they will observe and learn by how you manage your emotions and solve their personal conflict. Learning to speak, read, write. Identify distinct sounds in their native language. Communicate with words and pictures. 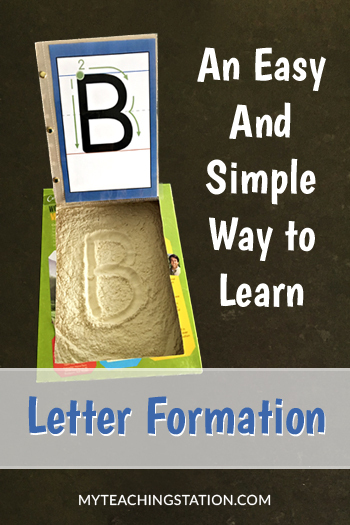 Learn the alphabet letter names and sounds. Understand and use a variety of words and phrases. Be able to trace lines and letters. Spell and write their first name. Language and literacy skills are developed through everyday interactions and require explicit instructions. Create a communicative environment with simple and easy activities. For more information, see How to Promote Your Child's Listening and Speaking Skills With Fun Activities. Reading stories help children develop their vocabulary and instills the habit of voluntary reading. Through listening to you read, the basic sounds that form the language are reinforced. To learn more benefits of reading to children, read Why Frequently Reading To Your Child Accelerates Growth. Preschool communication starts by using pictures, shapes and letter-like symbols. Download My Teaching Station Preschool Writing Worksheets to help you with these exercises. 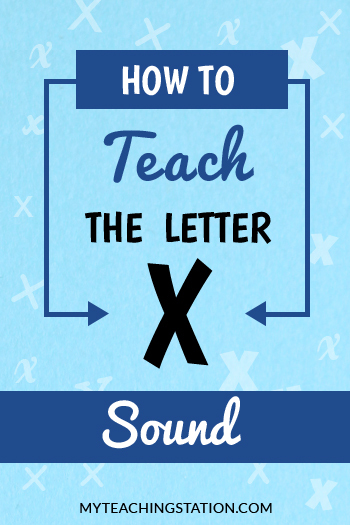 Consistently listening to and singing ABC songs provides an excellent introduction to learning the alphabet. The use of Flashcards helps in identifying the letter with the sound as most children learn best with hands-on experience. 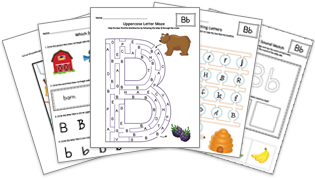 Download My Teaching Station Learning the Alphabet Workbook Series. The ability to calculate, gauge and measure thoughts while utilizing mental analysis to solve problems and apply it to everyday living. Recognize simple patterns and relationships. 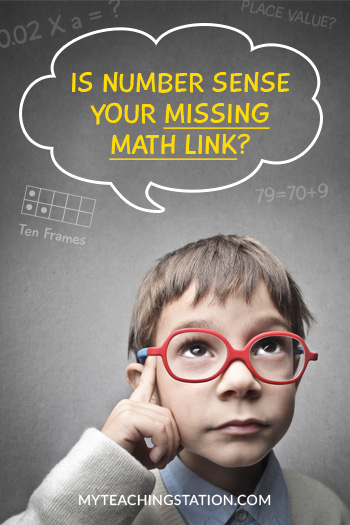 Learn numbers and number concepts (up to 20). Ability to count objects and match numbers to the count. Identify four basic shapes: circle, square, triangle and rectangle. Understand positional/directional concepts such as up/down, over/under, top/bottom, inside/outside, in/out, behind/in front of, above/below, high/low, right/left, far/near, off/on, first/last. Understand and use comparative words such as big/little, large/small, slow/fast, short/long, few/many, less/more, tall/short, empty/full. 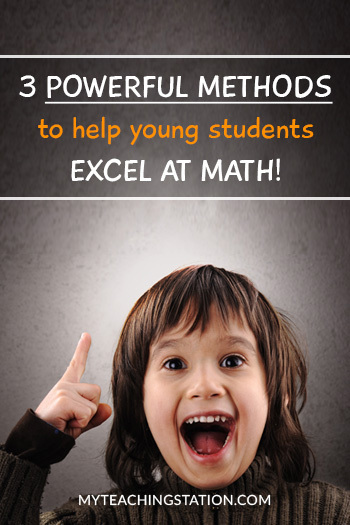 Promote mathematical thinking and basic math concepts through simple hands-on activities. Visit My Teaching Station Math Worksheet to download resources for your activities. There are two types of physical development, Gross-Motor Skills, and Fine-Motor Skills. Gross-motor skills are the abilities of the body to move large muscle groups. Fine-motor skills are the abilities of the body to move small muscles of the hands. Complete puzzles with five or more pieces. Ability to trace lines, shapes, and letters. Ability to cut out shapes from traced lines with scissors. Write their first name with a pen or pencil. Ability to control a paint brush. Provide outdoor opportunities for your child to explore using their hands (playing in a sand box or at a park, finding objects along nature trails, picking out shells at the beach). Supply materials such as paper and cardboard to fold, crumple and play with. Create a building zone play area with toys such as blocks, legos, shapes, and puzzles. Schedule time for one-on-one art projects incorporating hand coordination skills (using crayons, scissors, pencil). Download My Teaching Station Worksheets. For more activities, see Popular Preschooler and Kindergarten Gross Motor Skills Activities and Easy Activities to Develop Fine Motor Skills During Your Child Early Years. Sing songs and identify melodies. Awareness of the body's potential to move and create sound (dancing). Pretend play: Act out stories they know or to create play scenarios from their life experiences. Teach the ten basic colors: white, black, red, green, blue, yellow, orange, brown, purple and pink. Lead the children in creating artwork and building projects with paint, coloring paper, glue and any other suitable material. For an excellent example, see Help Your Preschooler Practice Counting While Having Fun With This Number Activity. Playing music and dancing promotes many health benefits. Encourage your child to move and dance to the beat of a sound. Inspire your child to play and interact with their toys by acting out meaningful stories. For more activities, see Encourage Your Child's Creativity with These 10 Most Popular Art Projects. For more helpful tips, visit My Teaching Station Articles section. For learning worksheets, visit My Teaching Station Worksheets section. For teaching resources, visit My Teaching Station Teaching Materials section. Find out what your child should learn.